RandomPottins: Will US change the Lockerbie script? JULY 3, 1988. IRANIAN AIRBUS brought down by US navy missile. Western media might have forgotten, others did not. Was Pan Am 103 bombed in revenge? AFTER the overthrow of Gaddafi in Libya, with US eyes turning to Syria, and threats being made to Iran, a little question is bothering me. Will the US government and Western media be keeping to the pursuit of Libyan 'bad guys' for the bombing of Pan Am 103, among other crimes, or are we about to see a change of script? At the beginning of this month it was reported that the Obama administration had made, or was about to make, a formal application to the new Libyan authorities for the extradition of Abdelbaset Ali Mohmed al Megrahi, the man convicted for the Lockerbie bombing, who was released to return home to Libya on compassionate grounds. The Scottish government which agreed to the release would not comment on whether it would oppose US moves. But Professor Robert Black QC, who set up the original Camp Zeist trial and persuaded the Libyans to let Megrahi stand trial under Scottish law, believes Megrahi was the victim of a miscarriage of justice, and he said the US would be acting against international law if they sought to try the man again. The new Libyan government has said it will consider extradition requests, though earlier, during the fighting, the rebels had said they would not. "We will not give any Libyan citizen to the West," Mohammed al-Alagi, the NTC justice minister, told reporters in Tripoli. "Al-Megrahi has already been judged once and he will not be judged again ... We do not hand over Libyan citizens, (Muammar) Gadhafi does." As we saw with Osama Bin Laden, the US does not always afford its enemies the luxury of a trial. But in this case their quarry seems likely to escape the talons of US "justice" whatever is decided, as still proclaiming his innocence to the end, Megrahi is reported to be geninely at death's door. If this is frustrating for those pursuing a hue and cry against the dying man, they might lift their hopes with the news that, following soon after the capture of Saif al Islam Gaddafi, who said Libya had only ever admitted "responsibility" (and not "guilt") for Lockerbie to get over international sanctions, another man, who might allegedly have had a much bigger role than Megrahi, has been captured. Whether asks for Abdullah al Senussi to be handed over, we will see. Many people, including some with good reason to follow the Pan Am 103 case closely, have their doubts as to whether Megrahi - or indeed Libya - should have been in the dock in the first place. Several legal experts including the UN observer at his trial had strongly challenged the verdict, and there were signs that evidence against the Libyan had been fabricated. A FORMER Scottish police chief has given lawyers a signed statement claiming that key evidence in the Lockerbie bombing trial was fabricated. The retired officer - of assistant chief constable rank or higher - has testified that the CIA planted the tiny fragment of circuit board crucial in convicting a Libyan for the 1989 mass murder of 270 people. The evidence will form a crucial part of Megrahi's attempt to have a retrial ordered by the Scottish Criminal Cases Review Commission (SCCRC). The claims pose a potentially devastating threat to the reputation of the entire Scottish legal system. The officer, who was a member of the Association of Chief Police Officers Scotland, is supporting earlier claims by a former CIA agent that his bosses "wrote the script" to incriminate Libya. The vital evidence that linked the bombing of Pan Am 103 to Megrahi was a tiny fragment of circuit board which investigators found in a wooded area many miles from Lockerbie months after the atrocity. The fragment was later identified by the FBI's Thomas Thurman as being part of a sophisticated timer device used to detonate explosives, and manufactured by the Swiss firm Mebo, which supplied it only to Libya and the East German Stasi. It was later suggested that Thurman's technical expertise lay less in interpreting such evidence than in making sure it was found near the right spot. Ulrich Lumpert, the Mebo AG engineer who testified to the validity of this evidence, admitted in an affidavit to lying in court and stealing the object from his employer after the attack whereupon it was planted. The Scottish police officer had apparently decided to approach lawyers with what he knew after Megrahi's first appeal failed. In June 2007 the Scottish Criminal Cases Review Commission granted Megrahi leave to appeal against his conviction for a second time. After initially appealing, Megrahi abandoned his second appeal in August 2009 as an ongoing appeal would have prevented him from being moved to Libya under the Prisoner Transfer Scheme which was thought to be a possibility in 2009. Then Megrahi was freed on compassionate grounds by the Scottish Government on 20 August 2009 following doctors reporting on 10 August 2009 that he had terminal prostate cancer and was expected to have around three months to live. Martin Cadman, whose son Bill was killed in the Lockerbie bombing, said "I'm very pleased he has been released on compassionate grounds because I don't think he was the right person to be there anyway. It is just righting a wrong...I think he was innocent and he was not involved. I don't believe he should have been in prison and I'm very pleased he will be back home with his family very soon." Doctor Jim Swire, whose 23 year-old daughter Flora was killed said "I don't believe for a moment that this man was involved in the way that he was found to have been involved. I feel despondent that The West and Scotland didn't have the guts to allow this man's second appeal to continue because I am convinced had they done so it would have overturned the verdict against him." There has been a great deal of recrimination between the US, British and Scottish governments over who agreed to Megrahi's release and why. US media encouraged relatives of the Lockerbie victims to feel betrayed and shout that the Libyan ought to have died in prison, and claimed that Britain had sought to appease Gaddafi so BP could win conessions in Libya. (that US oil companies felt jealous having been after the same contracts was not relevant of course). The British Labour government was happy to let those inept Scots take the blame. The Scots government said that London had encouraged them to go ahead with the release, a view with which senior mandarin Sir Gus O'Donnel's report concurred. The Mail-on-Sunday claimed to have seen secret documents showing that Labour had caved in to a Libyan threat. The Telegraph on the other hand said its evidence from onfidential letters and e-mails showed it was all about pursuing oil interests and trade. What all assumed was that Megrahi had been guilty and properly tried. What few asked, least of all south of the border (where that Scottish policeman's evidence had scarcely been reported) was what would have happened if the case had gone to the second appeal, and Megrahi had won by presenting evidence of a frame-up. If the Libyan was not guilty, who was? Before and after Libya was put in the frame for Lockerbie there were various theories advanced as to who had been behind the bombing, and why, ranging from South African intelligence through the Israeli Mossad agency (presumably intending to provoke a reaction against one or other of its enemies) to the all-purpose Abu Nidal. But the most plausible, and from knowledgable if biased sources, pointed to the Syrian-backed Popular Front for the Liberation of Palestine-General Command, (PFLP-GC) led by Ahmed Jibril. Though one of the smaller guerrilla group, this breakaway from the better-known PFLP came to specialise in bold and technically ambitious operations. Jibril had been a Syrian army officer, and with Syrian backing came finance from Syria's ally, Iran. 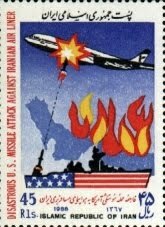 On July 3, 1988, the USS Vincennes, a missile cruiser, having entered Iranian waters in the Straits of Hormuz, brought down an Iran Air A300 airbus, killing all 290 passengers and crew, including 66 children aboard. The US claimed its trained forces mistook the airbus for a much smaller Nimrod fighter about to attack. The US government never apologised for their action, and the officers and crew of the Vincennes were decorated when they returned from their tour of duty. US and British forces were alerted to expect a reprisal attack after this, and it is possible that Mossad tipped them off that this could involve Ahmed Jibril. The PFLP-GC had allegedly undertaken to carry out a contract for revenge on behalf of Iran. The organisation had a cell based near Frankfort, and was said to have links with a drug trader working with the CIA. A bomb maker called Marwan Abdel Razzack Khreesat was part of the Frankfurt group. On October 26, 1988, Khreesat was arrested and one of his bombs seized. Then Khreesat was mysteriously released. Former CIA agent Oswald Le Winter stated, "…pressure had come from Bonn… from the U.S. Embassy in Bonn… to release Khreesat." Documents from the US Defene Intelligence Agency, dated 1994, two years after the Libyans were accused, still described the PFLP-GC as the Lockerbie bombers. But by then both Britain and the United States had restored and improved relations with Syria, using its help in the Gulf War against Iraq, and were no longer desribing the Assad regime as a sponsor of terror. So if a villain was needed, Gaddafi would have to fill the part. Now that things have changed once again, will America have to try and change the script? One possible sign of change came in, of all places, the Jewish Chronicle, on September 27. Its politics are needless to say not my own, but it is worth quoting both for its openness (the author is not one of the paper's staff but a barrister specialising in criminal law) and because the author suggests the CIA had more than diplomatic niceties to cover when they stitched up the Libyans and Megrahi for the Lockerbie bomb. The Arab Spring may have heightened tensions between Egypt and Israel but, on the upside, it also achieved Colonel Gaddafi's overthrow. Strangely, this could actually benefit the Jewish state - but only if Libya takes the initiative. With Gaddafi gone, the world could recognise, finally, that the perpetrators of the Lockerbie bomb were not from the Libyan secret service, did not include the man who was ultimately convicted, Abdelbaset al-Megrahi, and indeed had nothing to do with Libya. The world could learn that the culprits were the original suspects, a gang of Palestinian terrorists. As it takes its first steps, the new Libyan leadership will likely want to remove the stigma of Libya's association with the atrocity of December 1988 and seek international acceptance of al-Megrahi's innocence. A democratic Libya could wield a good deal of clout if it applied the sort of economic and diplomatic pressures Gaddafi used to secure al-Megrahi's release on compassionate grounds to urging the Scottish and British governments to declare him innocent. And they may be pushing at an open door. How do we know the true culprits were Palestinian terrorists? In July 1988, the battle cruiser USS Vincennes shot down IranAir flight 655 over the Straits of Hormuz. The Americans were steeled for a terrorist response and the Western intelligence community was tipped off, probably by Mossad, that a deal to carry out such an attack had been struck between Iran and Ahmed Jibril, leader of the Popular Front for the Liberation of Palestine, "General Command". This was a Syrian-based ultra-extremist splinter group of the PFLP, with an active cell in West Germany. The deal was that Iran would pay them a bounty to destroy an American civil airliner departing from a European airport. As a result, the West German police set up the "Autumn Leaves" surveillance operation, whereby a CIA proxy double-agent named Marwen Khreesat, an expert bomb-maker from Jordan, was infiltrated into the cell. He built a number of similar improvised explosive devices (IEDs) one of which was virtually identical to that which brought down Pan Am flight 103 a mere two months later. The device was removed from under his nose and delivered to the cell's airport security expert, Abu Elias. Khreesat tipped off his control in Jordan and the police immediately swooped, rounding up members of the cell and seizing a second device, also virtually identical to the Lockerbie bomb. "Abu Elias was never seized and the missing IED was never recovered, two facts enough in themselves to prompt the strongest suspicion. Combined with other compelling circumstantial evidence they plainly connected the cell with the bombing." This is not conspiracy theory. It is non-contentious stuff, most of it given in evidence at Camp Zeist. Yet the judges turned a blind eye to the obvious and based their decision on a series of weak findings. What the Scottish judges did not appreciate was the utter horror Khreesat's CIA controllers must have felt in the aftermath of the Lockerbie tragedy: that a bomb made by their proxy in pursuance of his cover on their behalf was almost certainly used to bring down the Pan Am jet. Therein lies the clue to why attention was drawn away from Iran and the PFLP-GC and why Libya became the scapegoat. But Israel has no need to defer to the embarrassed sensibilities of a handful of long-retired CIA staffers. Nor need it wait for pressure to build up from the new Libyan leadership. Benjamin Netanyahu's government might not want to be seen too openly pressing for al-Megrahi's vindication and the corresponding condemnation of Palestinian extremists. Yet behind the scenes they ought to be attempting to secure that outcome. It can do Israel no harm for the world to learn that her enemies were paid $4.5 million to murder 11 residents of Lockerbie, and 259 innocent passengers, of all religions.